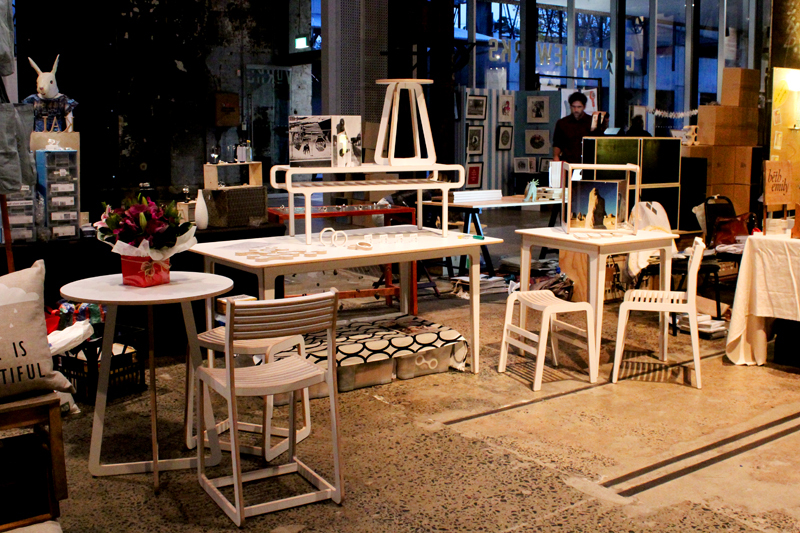 This lot was spotted at the recent Finders Keepers markets, by local start up Ply Candy. I've always had a thing for CNC plywood chairs, as my first bit of furniture (back in high school for my D&T major project) was a router cut plywood bench. The Maya chair is my favourite and I think it looks very nice, with well thought out lines and shapes. Not crazy about the supports running cross-ways on the base of the legs, but I assume that's necessary for strength. I always enjoy a bit of white/timber contrast too, so the colours are very appealing to me. I'm also impressed by how cohesive all the Ply Candy furniture is as a set. When designer Stefan Diez gave a guest lecture to our class he told us that if we're going to design a chair, we should also design a whole family of furniture (eg stools, high/low versions) so that we'll have whatever the client/customer wants. Ply Candy has certainly done that here.